We are currently in our off-season. Please check in again in Spring when our season starts back up. ​The trip takes place in one of the most remarkable regions of the Australian continent – scenic, dramatic and full of special wildlife and cultural places. Grades 1-3 pulsing white water rapids dispersed with contemplative calm pools to catch your breath and enjoy pristine surroundings. Transport: Free transfers from Jindabyne provided. For those wishing to meet at the put-in on The Barry Way a $20 per person discount applies. Guides will pick you up from your Cooma accommodation at 7:30am , or Jindabyne accommodation at 8:30am. You then drive for 1/2 an hour through countryside, before entering the Kosciusko National Park, where the scenic alpine road drops steeply over 750 meters in elevation to the Snowy River. 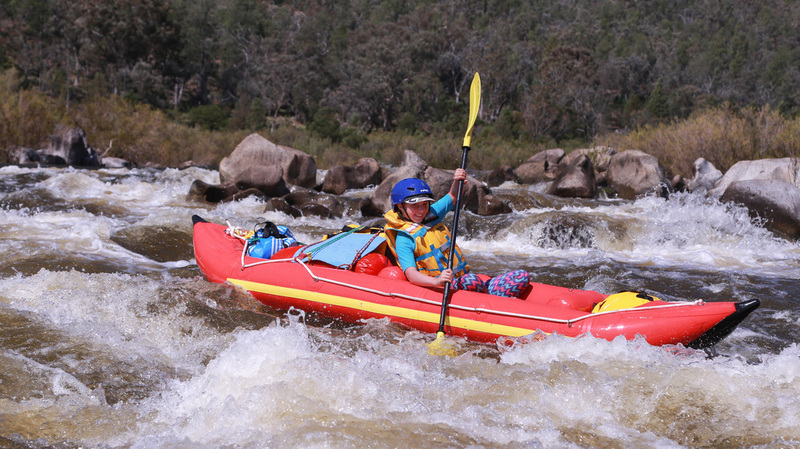 You will be given a comprehensive safety talk, before 2 hours of getting wet and wild in the rapids in an individual or twin inflatable kayak. 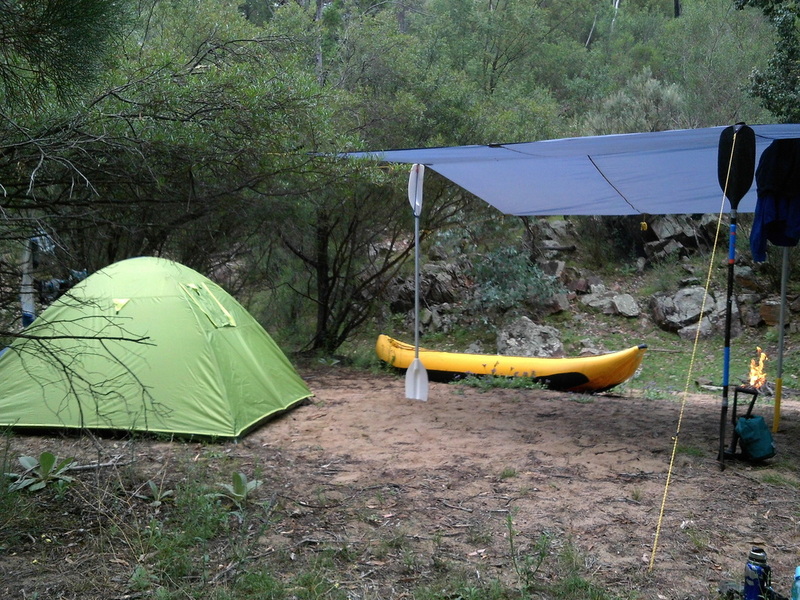 Lunch is served by the banks of the Snowy River, before another 2 hours of awesome paddling through the stunning Snowy, until you reach your final destination at Pinch confluence. Relax with some afternoon snacks while your guide packs the gear, then enjoy the amazing mountains views as you are escorted back to your accommodation. Have a group of 4 or more? Book the date of your choice at by emailing us at riverguide@outlook.com. Dates don't suit you? Send us through an email at riverguide@outlook.com and we will try to find a date that suits you. Staying overnight on the Snowy brings a new dimension to your whitewater trip. Paddle up to your riverside campsite and unwind in the open air as your guides prepare you a hearty meal. Have a yarn by the campfire before retiring to your tent, or stay up listening to the many sounds of the unique Snowy ecosystems. Day 2 of your whitewater adventure allows you to utilize your newly acquired paddling skills to negotiate even bigger and better whitewater rapids as you travel through the awe-inspiring Pinch Gorge.